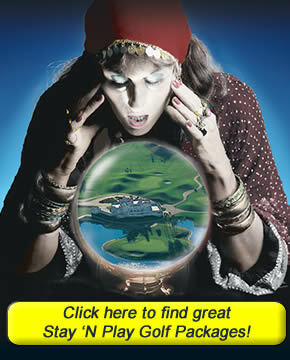 Magical Golf 5 Nights, 5 Courses Condo Package at Mystical Resort! Play each of The Witch, The Wizard, The Man O'War, plus any 2 of the following courses: Legends Heathland , Legends Parkland, Legends Moorland, Heritage and Oyster Bay Golf Courses with green and cart fees included. 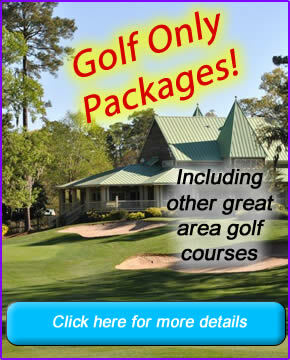 CART FEE ($24) REPLAY RATE on the day of play at the Mystical Golf Course - only when space is available ($36 value). Special Day of Play Replay rates cannot be PRE BOOKED. *Cart fees and all applicable taxes included. Rates will vary by date and are limited to the date ranges provided. Price is based upon quad occupancy. Available for booking until Jan 09, 2019.